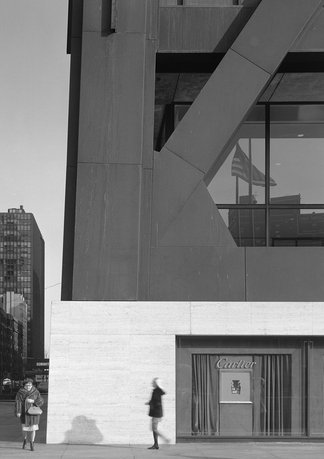 Ezra Stoller, Manufacturers Trust, Skidmore, Owings & Merrill Architects, New York, 1954. 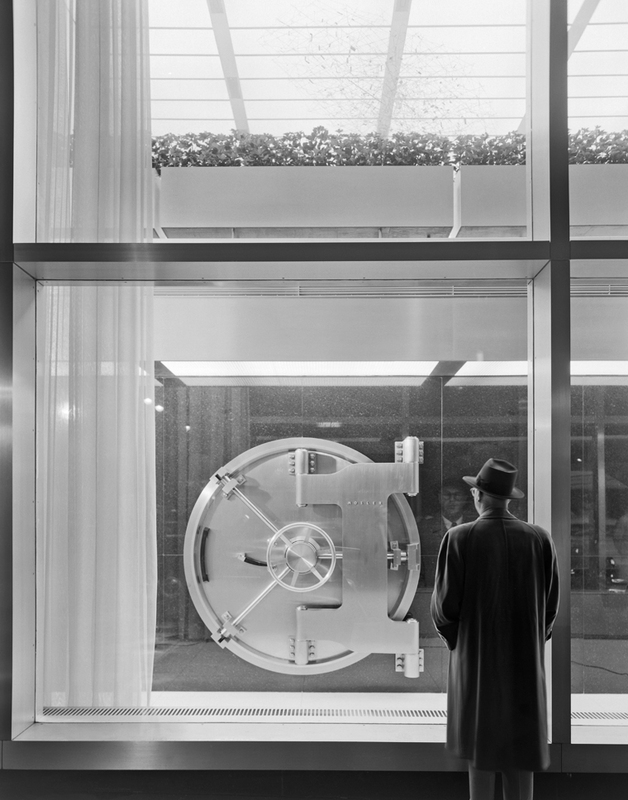 Photographer Ezra Stoller is considered the dean of 20th-century architectural photography, but his images have received limited attention from audiences outside of architecture. 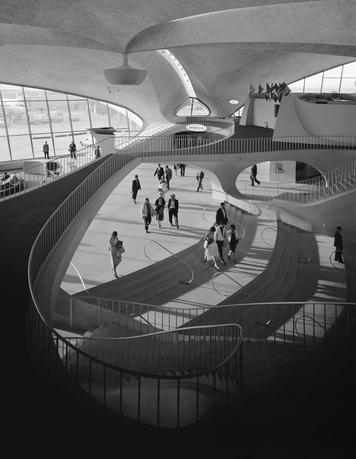 The book Ezra Stoller, Photographer is the first to look at the full range of Stoller's important work. It includes not only the iconic architectural photographs for which he is renowned, but also his documentation of the homes of middle-class Americans which appeared in magazines such as Architectural Record and Ladies' Home Journal as well as his photographs of industrial settings of workers and factories. This work, culled from extensive archives, features essays by Erica Stoller (Stoller’s daughter), architectural historian and critic Nina Rappaport, photography critic Andy Grundberg, architectural editor John Morris Dixon, and architectural critic Akiko Busch. The beautifully illustrated book provides a new perspective on Stoller's work and shows his importance as an artist working in the medium of photography. Nina Rappaport is an architectural critic, curator, and educator. She is publications director at Yale School of Architecture, where she is editor of the biannual publication Constructs, the exhibition catalogs, as well as the studio book series. Her scholarly interests lie in the areas of structural design engineering and industrial urbanism. Her published work on the topic includes Support and Resist: Structural Engineers and Design Innovation (Monacelli Press, 2007). Rappaport curated the exhibition Vertical Urban Factory on display at the Skyscraper Museum (2011), the Museum of Contemporary Art Detroit (2012), and Toronto's Design Exchange (2012). 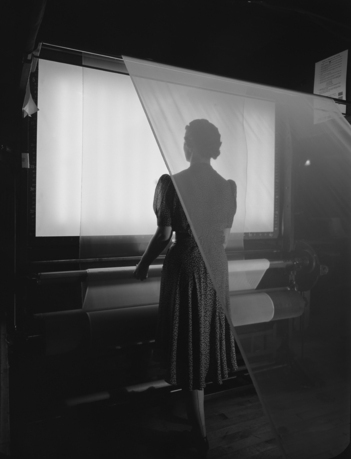 Her research on this topic has led her to numerous photography collections where she has found a trove of photographs of industry, Stoller's work among them. In 2010, Rappaport curated an installation of these images called Man and Machine in Washington, D.C.
Erica Stoller is the director of Esto, the architectural photography agency and archive that was started by her father, Ezra Stoller, whose images are the foundation of the collection. The library also includes photographs by Esto colleagues and other photographers around the world. 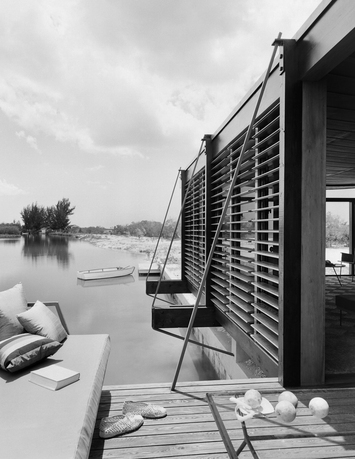 Stoller has given numerous lectures about architectural photography. She is also an artist who creates wall sculpture of cardboard and paper.